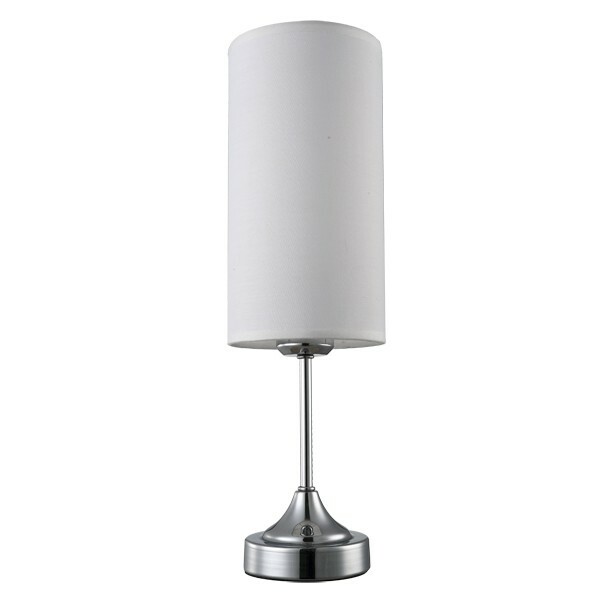 The Mena Touch Table Lamp - White is a touch lamp that is practical, versatile and looks great. 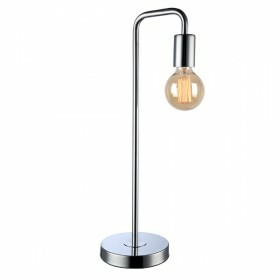 The simple design makes it possible to situate this light in any room. 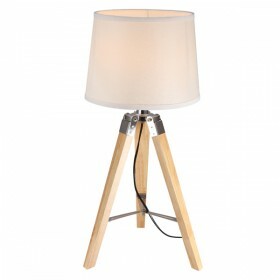 The Mena Table Lamp is particularly handy for kid’s bedrooms. 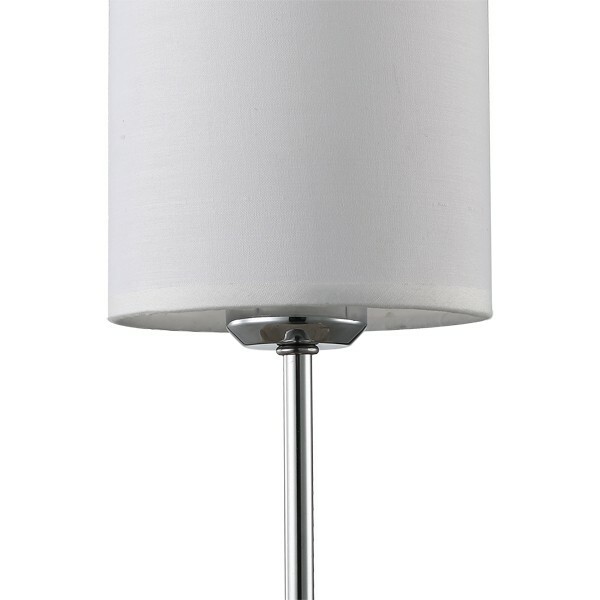 No more searching for the tiny switch in the dark, with this touch lamp. 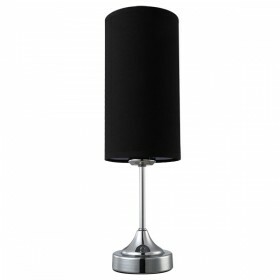 With 1 x 28w=40w Dimmable Halogen Energy Saver Globe(s) - (An additional $5 will be added automatically). 4 Stage Touch mechanism - Off, Low, Med & High. 1 x E27 Globe(s) 40w Max. 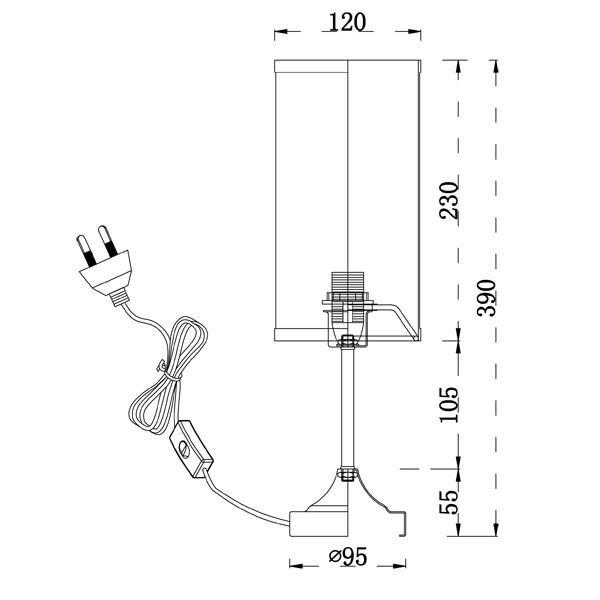 The power cable exits at the base of the lamp. 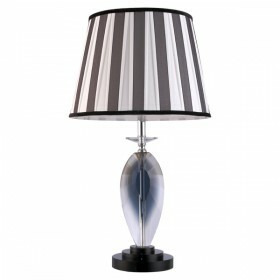 Table Lamps are a decorative way to accessorise your living space. 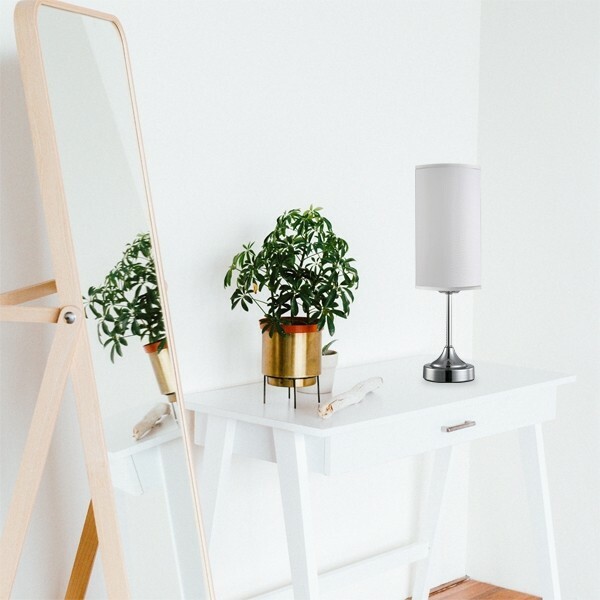 At MICA Lighting, we have table lamps that suit buffets, bedside tables, livingroom side tables, desks - virtually anywhere really! 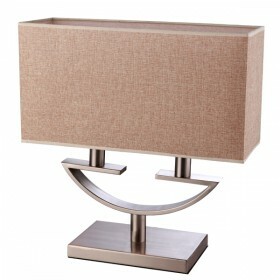 MICA Lighting has an extensive range of table lamps in varying sizes, colours, patterns, textures and materials. 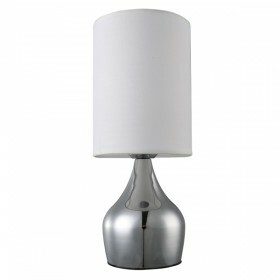 Shop confidently at MICA Lighting for your next table lamp and you'll be sure to catch an eye-grabber.